The neat, densly tufted evergreen foliage makes this a perfect grass for the wildflower meadow. Dainty silver-tinted, purple spikelets appear like clouds in summer and provide a real feature well into the autumn. These are easy and reliable plants that will tolerate some shade. Garden care: Remove the faded flower-heads in late winter before new growth appears. If the foliage has also started to look tatty at that time of the year, then this too can be cut back hard. In warm areas the plant has a tendency to self-seed freely. Where this is the case remove unwanted seedlings as part of routine border maintenance. 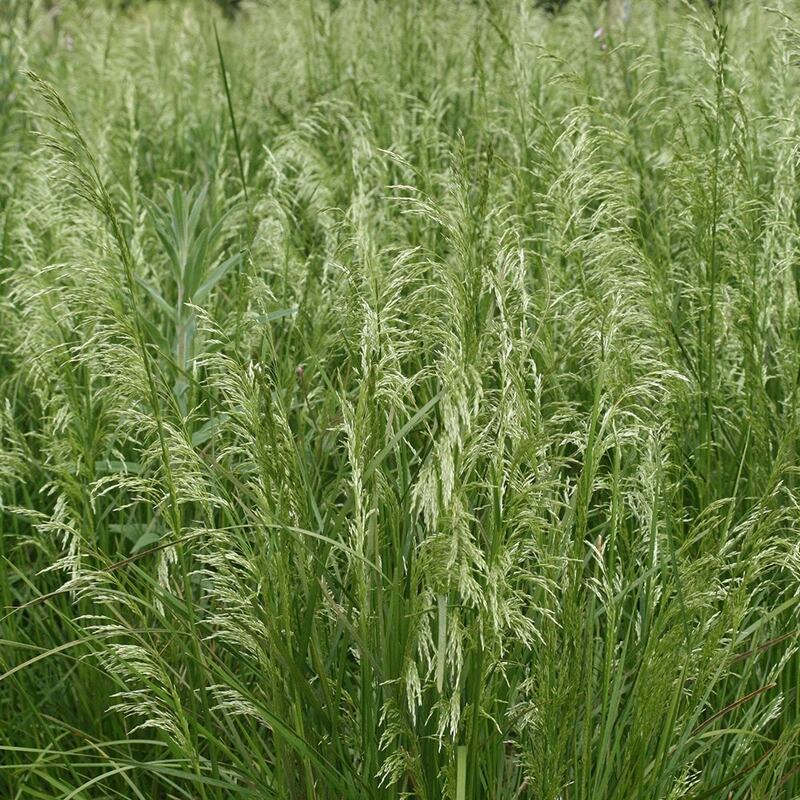 Indulge a passion for ornamental grasses by creating a prairie- or meadow-style garden. They can be richly planted with native wildflowers or a selection of complementary perennials and self-seeding annuals to create a naturalistic planting effect.